These are just some last minute valentines we made for all of the boys teachers… Super easy, cute and a little treat for them. I used swedish fish as the “treat” and construction paper for the fish bowls. The boys used crayons to decorate their fish and the water… I typed out the message we wanted and then cut it in the shape of a fish. Like I said this was really easy! 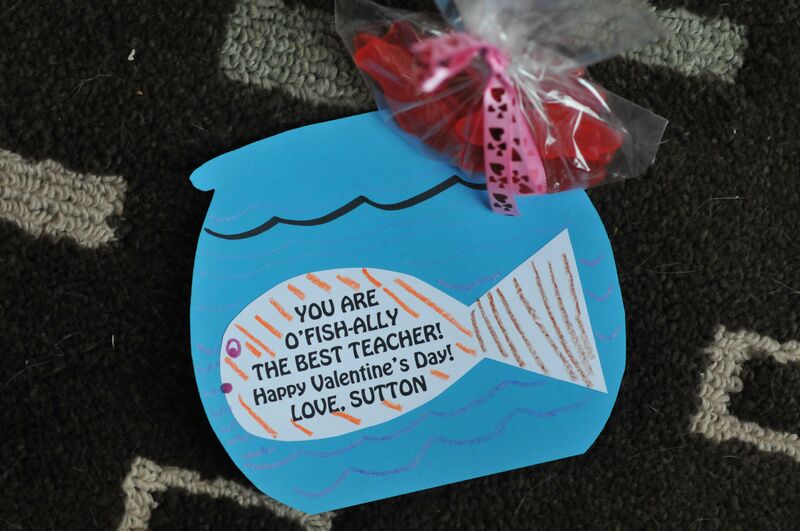 You could use these for classroom valentines as well and say something like “I’m glad we swim in the same school” or “You’re the only fish in the sea for me”… I’m sure you’ll think of something creative!